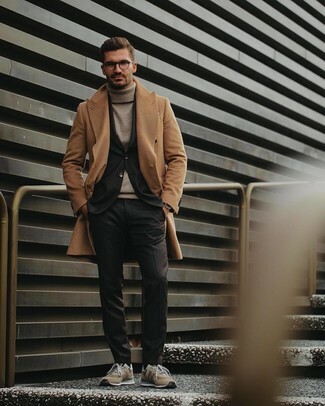 Consider teaming an Al Duca D’Aosta 1902 roll neck sweater with grey wool dress pants for a classic and refined silhouette. Complement this look with burgundy leather derby shoes. 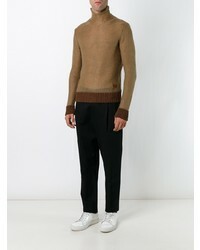 Opt for an Al Duca D’Aosta 1902 roll neck sweater from farfetch.com and charcoal wool dress pants for a sharp, fashionable look. For something more on the daring side to round off this getup, throw in a pair of yellow low top sneakers. 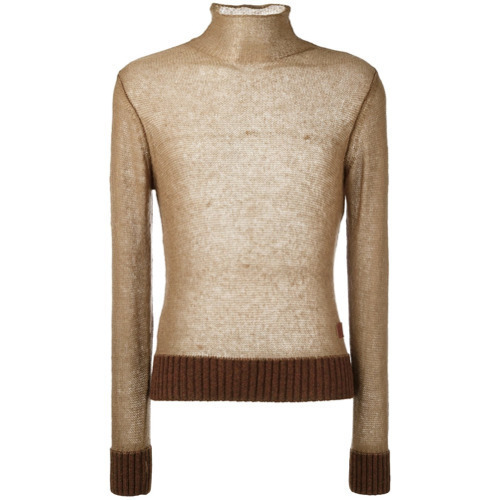 If you're hunting for a casual yet sharp getup, pair a beige turtleneck with charcoal chinos. Both pieces are totally comfortable and will look great paired together. 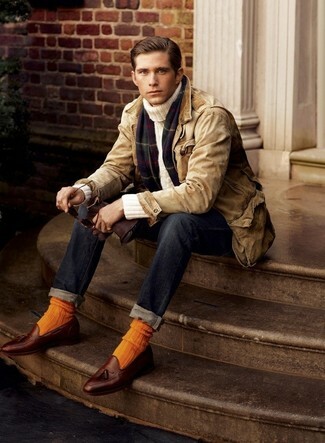 To add more class to your getup, complete with black leather casual boots. 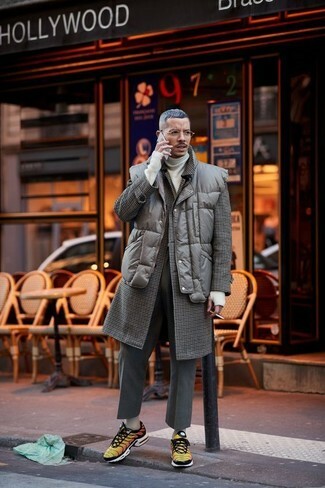 For a nothing less than incredibly stylish look, consider pairing a beige turtleneck with navy dress pants. Dark brown leather brogues will deliver more playfulness to your getup. 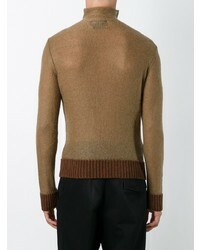 Opt for an Al Duca D’Aosta 1902 roll neck sweater from farfetch.com and navy jeans to show you've got serious styling prowess. Kick up the cool of your getup by rounding it off with brown leather tassel loafers. 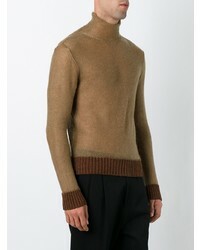 For a nothing less than incredibly stylish look, consider wearing a beige turtleneck and black dress pants. Rock a pair of beige suede athletic shoes to make the outfit more current. 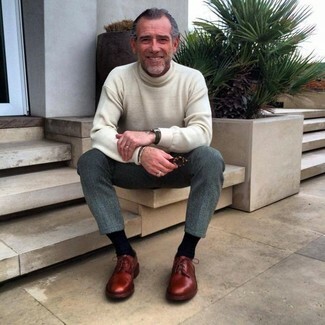 Try pairing an Al Duca D’Aosta 1902 Roll Neck Sweater with charcoal wool dress pants like a true gent. 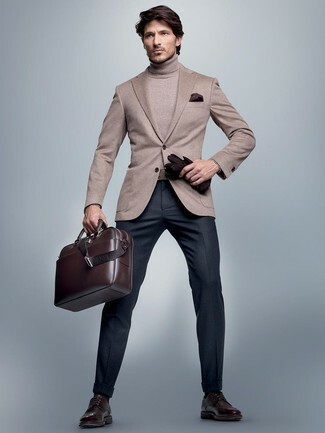 Pair a beige turtleneck with a grey check wool three piece suit for a sharp, fashionable look. Marrying an Al Duca D’Aosta 1902 Roll Neck Sweater with navy wool dress pants is an on-point option for a stylish and elegant look. 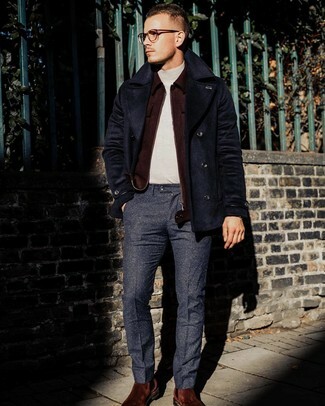 A pair of tobacco suede chelsea boots is a smart option to finish off this outfit.